At Dell, meeting customers’ needs with industry-leading innovation underpins the solutions we design. It is this commitment to delivering best-in-class technology for our customers that has led to Dell earning a place as the No. 1 displays brand in the world for four consecutive years. We’re often asked by customers why High Dynamic Range (HDR) technology is important – in a nutshell, its superb contrast with brighter hues, darker shades and greater color depth results in vibrant, lifelike images that pop on screen. Over the last few years, the displays industry has seen rapid growth in the number of options for HDR-enabled TVs. The TV industry currently uses a variety of HDR standards including HDR10 and Dolby Vision, among others; however, HDR standards for PC use are still being defined today. As a member of the Video Equipment Standards Association (VESA) and as an innovation leader in monitor technology, Dell is working to define HDR standards for PC use in partnership with other association members. In conversations with customers, we received feedback that two kinds of HDR-capable displays were needed at two different capabilities and price points. We heard from creative professionals on their desire to work on HDR10 content and from consumers on their desire to view HDR10 content. In response to this feedback, we introduced an HDR10 and Dell HDR-enabled monitors: The Dell UltraSharp 27 4K HDR Monitor (UP2718Q) starting at $1999.99, our first monitor with HDR10 UHD Alliance Premium Certification from our award-winning line of UltraSharp monitors with PremierColor designed specifically for professionals who demand precise color performance and outstanding detail. We also introduced five new Dell HDR monitors for viewing HDR10 content: Dell UltraSharp 27 4K Monitor (U2718Q), Dell UltraSharp 25 Monitor (U2518D), Dell 27 Ultrathin Monitor (S2718D), and Dell 24 and 27 Monitors. While the industry aligns on a common HDR standard for PC use, we wanted to bring the benefits of HDR technology to consumers with the Dell HDR feature. Dell’s HDR feature has been designed with a PC user in mind and supports specifications that are different from existing TV standards for HDR. With a peak brightness of more than 50 percent higher than your average monitor’s typical brightness (400-550 nits vs. 250-300 nits), Dell HDR monitors use a hardware engine in the monitor to process HDR metadata and deliver true-to-life color, contrast and detail, starting at $289.99 today. While these monitors don’t deliver HDR10 peak brightness, Dell HDR monitors are perfect for users looking for a striking viewing experience with beautifully modern design at an affordable price point. For professionals who need HDR10 certified monitors for color critical design work, the Dell UltraSharp 27 4K HDR monitor is a one-stop solution that offers Dell PremierColor features with wide color coverage, color accuracy and user calibration. For users looking for a monitor with HDR10 viewing capability and perfect for everyday tasks with a desktop monitor, we recommend our Dell HDR monitors. Dell UltraSharp 27 4K HDR Monitor (UP2718Q) is available on Dell.com at $1999.99. Dell 27 Ultrathin Monitor (S2718D) is available on Dell.com starting at $699.99. Dell UltraSharp 27 4K Monitor (U2718Q) is available on Dell.com starting at $739.99. 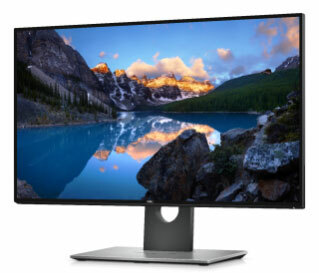 Dell UltraSharp 25 Monitor (U2518D) is available on Dell.com in Asia and Europe and will be available in the U.S. on Sept. 15 starting at $499.99. Dell 24 Monitor (S2418HX) starts at $289.99 and Dell 27 Monitor (S2718HX) starts at $379.99 and are available on Dell.com.